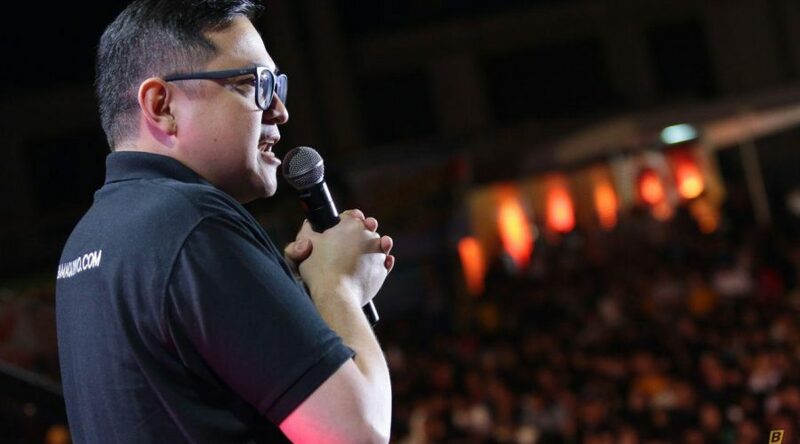 Sen. Bam Aquino believes the government can fund free college even without the Tax Reform for Acceleration and Inclusion (TRAIN) Law, insisting that President Duterte is being fed wrong information by his economic managers. “Hindi po totooong walang pagkukunan ng pondo ang gobyerno para sa libreng kolehiyo at ibang serbisyo kung ititigil ang TRAIN Law,” said Sen. Bam, one of four senators who opposed the ratification of the TRAIN Law. “Mali ang ibinibigay na payo ng economic managers ng gobyerno kay Pangulong Duterte,” added Sen. Bam, principal sponsor of the free college law. In fact, Sen. Bam said that in 2017, the Senate allocated funds for the first year of implementation of the free college law for 2018, even before the TRAIN Law was passed. Sen. Bam emphasized that the government economic managers are trying to divert funds for other purposes, based on an earlier pronouncement by Sen. Panfilo Lacson that he has identified around P410.98 billion from the 2019 national budget allotted for pork barrel. “Sapat ang pondo ng gobyerno para sa mga proyekto. Ang problema, ang ibang pondo, nagagamit sa ibang bagay para sa kapakinabangan ng iilang tao,” said Sen. Bam. Sen. Bam has been pushing for the suspension of excise tax on fuel under the TRAIN Law, filing the Bawas Presyo sa Petrolyo Bill last May 2018 to help ease the burden of Filipino people on high prices of food and other goods. “Tama na po dagdag-pahirap sa mga kababayan nating nalulunod sa taas presyo. Bigyan naman natin ang mamamayan ng ginhawa,” said Sen. Bam. 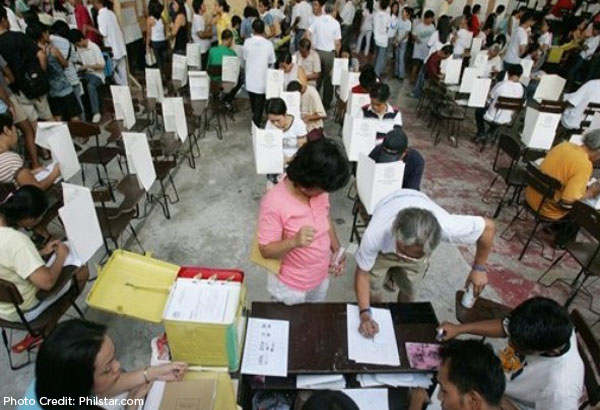 While the 1986 EDSA Revolution paved the way for millions of Filipinos to fight for the future of their families, the May elections will give voters a chance to advance the welfare of their loved ones through the ballot, according to Sen. Bam Aquino. “Milyun-milyong Pilipino noon ang dumagsa sa EDSA alang-alang sa kinabukasan ng kanilang pamilya,” said Sen. Bam, referring to the EDSA People Power 1 revolution that happened 33 years ago today and toppled the dictator. “Ngayon, milyun-milyong Pilipino ang boboto sa Mayo. Sana, gaya ng dati, ang batayan ng taumbayan ay ang kinabukasan ng kanilang pamilya,” added Sen. Bam, who is seeking re-election under the Otso Diretso slate. 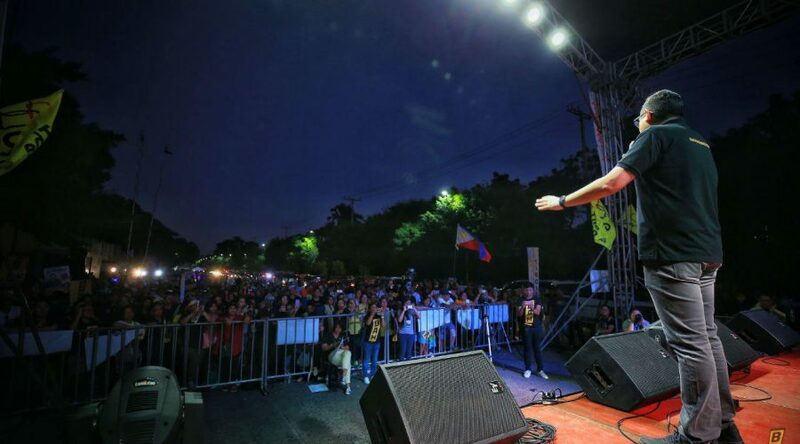 Instead of using popularity as basis for voting, Sen. Bam said Filipinos should pick candidates who will help improve their lives and push for the welfare of their families. “Gawin nating sukatan ang track record at iba pang magagawa ng mga kandidato para sa atin at sa ating mga pamilya, hindi dahil matunog ang kanilang pangalan,” said Sen. Bam. Sen. Bam is confident that his track record in his first term will convince voters to give him a fresh six-year mandate in the Senate. In his almost six years as lawmaker, Sen. Bam worked for the passage of 40 laws, including the landmark free college law, which he pushed as principal sponsor during his term as chairman of the Committee on Education in the 17th Congress. Sen. Bam fulfilled his 2013 campaign promise to help boost micro, small and medium enterprises by pushing for the passage of the Go Negosyo Act. The first law passed by Sen. Bam, the Go Negosyo Act has established more than 1,000 Negosyo Centers in different parts of the country, serving Filipinos who want to start or expand their own business. Sen. Bam has committed to push measures that will ensure good jobs for all college and K-12 graduates and other educational reforms such as improvement of educational facilities and additional benefits for teachers. 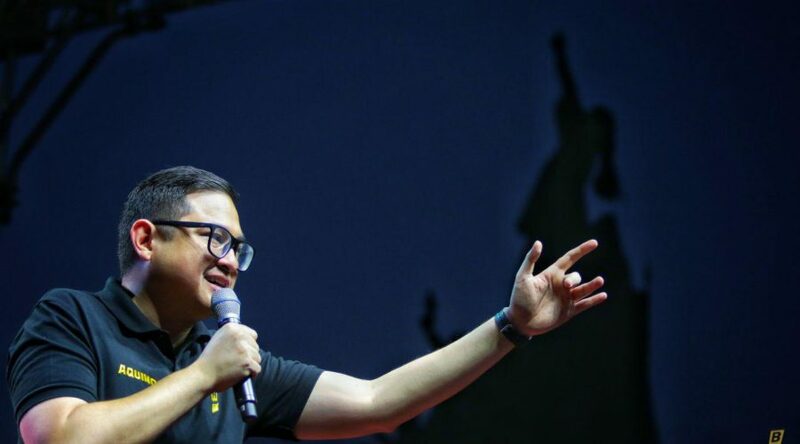 Thirty three years after a corrupt dictator was ousted, Sen. Bam Aquino stressed that another People Power is needed, this time through the ballot, to ensure that no corrupt candidate will be elected to the Senate. “Kailangang ng People Power sa balota para walang magnanakaw na maluluklok sa posisyon,” Sen. Bam as the country commemorates the 33rd anniversary of EDSA People Power 1 that toppled a corrupt dictator. “Ang laban ng EDSA noong 1986 ay laban sa mga magnanakaw—mga magnanakaw sa kaban ng bayan, magnanakaw ng buhay at karapatan, magnanakaw ng magandang kinabukasan sa mahigit dalawang dekadang pamumuno ng diktador,” added Sen. Bam. Sen. Bam said the spirit of EDSA 1 should be rekindled amid the corruption issues hounding the government despite the administration’s promise to stay away from officials with even a ‘whiff of corruption’. “Hindi pa tapos ang laban ng EDSA dahil hindi pa tumitigil ang mga pagnanakaw. Kailangang buhayin ngayong 2019 ang People Power para labanan ang mga magnanakaw para gumanda ang kinabukasan at di na tayo bumalik sa dating kadiliman,” the senator added. Earlier, Sen. Bam called on voters looking for better governance to air their sentiment by selecting right candidates in the May elections. The senator is optimistic that voters will elect senatorial candidates who have the people’s welfare in mind and will work to uplift the lives of Filipino families. “Magsisilbing boses ng taumbayan ang kanilang mga boto sa Mayo. Tiwala ako na pipiliin nila ang mga kandidatong magsusulong ng kanilang kapakanan,” said Sen. Bam, who is eyeing a second term under the Otso Diretso slate. The People Power of today is Vote Power! This was emphasized by Sen. Bam Aquino as he called on the Filipinos to air their grievances with government through the ballot in the May elections. “Alam kong nakakatakot ngayon, pero kailangan nating ipakita ang ating tapang sa pamamagitan ng ating boto,” said Sen. Bam. “I’m hoping come May, iyong lakas ng taumbayan, mapakita ulit,” said Sen. Bam, who is running for re-election under the Otso Diretso slate. Sen. Bam admitted that being part of the opposition is very difficult during these times, but somebody has to put the government in check and making them accountable for their actions. “This is a gargantuan task, but still it ought to be done. And somebody has got to do it,” said Sen. Bam. 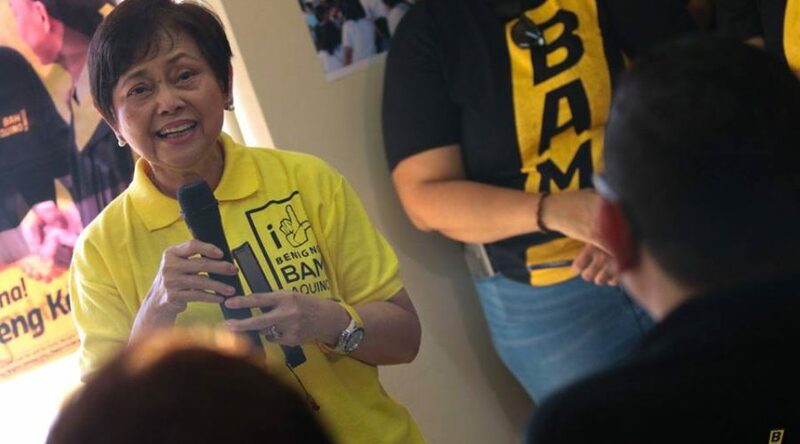 Sen. Bam is hoping that voters will select senatorial candidates who will work for the people’s welfare and will uplift lives of Filipino families. The senator said he’s banking on his legislative accomplishments to earn him a second term in the Senate. In his first term, Sen. Bam has 35 laws to his name, including the landmark free college law, which he pushed as principal sponsor during his term as chairman of the Committee on Education in the 17th Congress. Sen. Bam also pushed for the passage of the Go Negosyo Act, which has established more than 1,000 Negosyo Centers in different parts of the country, catering to the needs of Filipinos who want to start or expand their own business. 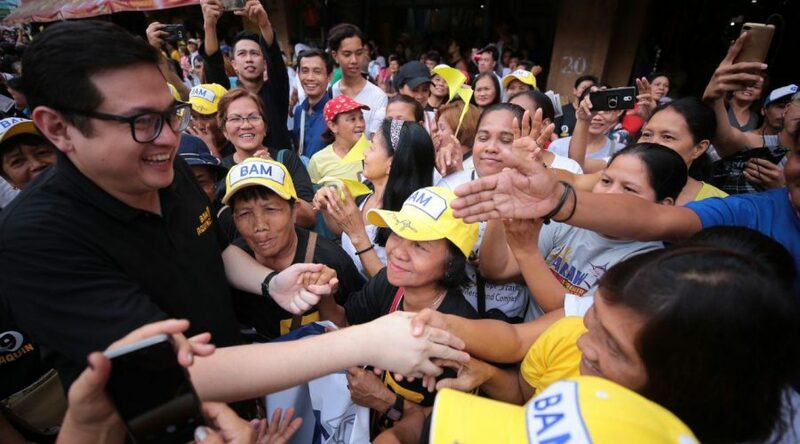 If he wins a second term, Sen. Bam said he will push for reforms that will ensure good jobs for all college and K-12 graduates and other education reforms such as improvement of educational facilities and additional benefits for teachers. Sen. Bam Aquino stressed that unabated importation of sugar would lead to the death of the sugar industry and affect the livelihood of 90 percent in the sugar farming industry who are land reform beneficiaries. “Nakababahala ang planong ito ng gobyerno na bahain ng merkado ng inangkat na asukal dahil talo ang ating maliliit na magsasaka at kanilang mga pamilya,” said Sen. Bam, who is running for re-election under the Otso Diretso coalition. “Sa walang habas na pag-angkat ng asukal, ninanakawan ng kabuhayan ang mahihirap na pamilyang umaasa sa pagtatanim ng tubo,” the senator added. 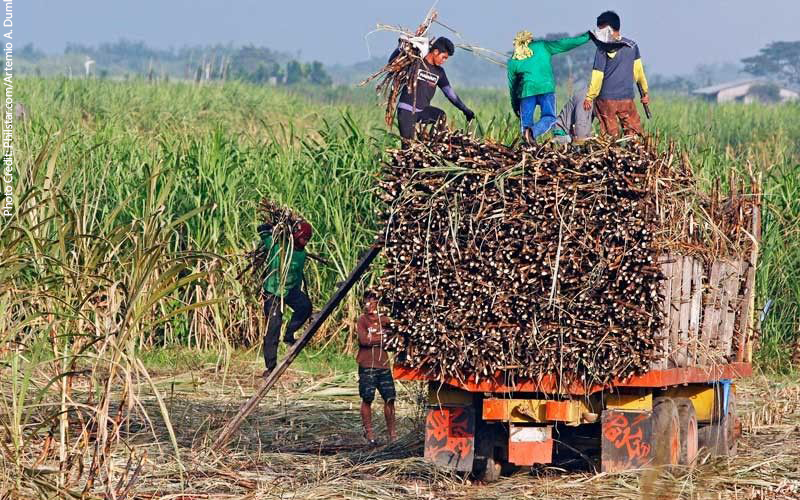 According to Sen. Bam, if the government pushes through with its plan to liberalize sugar importation, the livelihood of around 84,000 farmers and 720,000 industry workers will be in peril. Instead of pushing for the liberalization of sugar importation, Sen. Bam said the government should give small farmers the needed resources to improve their livelihood. “Kailangan natin silang tulungan at alalayan, lalo na at marami sa kanila ay benepisyaryo ng repormang agraryo,” said Sen. Bam. 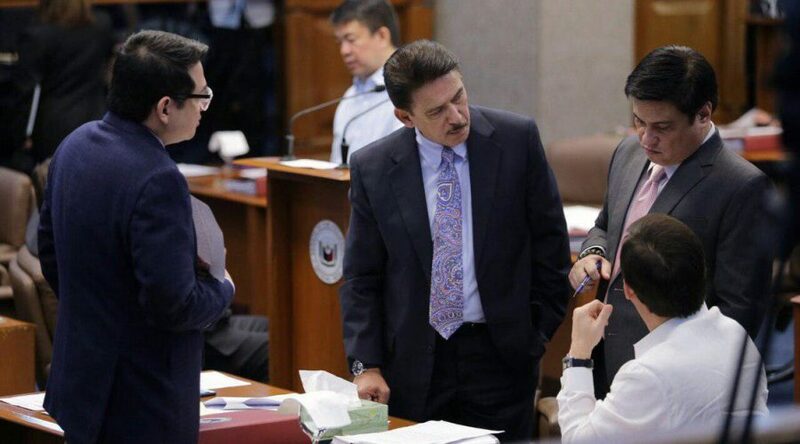 Earlier, Sen. Bam recently requested to be a co-author of Resolution No. 1014 requesting the government to shelve its plan to import sugar. Sen. Bam Aquino stressed the need for an independent Senate that will protect the interest and welfare of the Filipino people, and not beholden to those in power. “Ang kailangan po ng ating bayan ay isang Senado na independent, hindi po sunud-sunuran sa mga taong nakaupo at bagkus, kinakampihan ay ang tao po mismo,” Sen. Bam said during the ABS-CBN senatorial debate. “Kailangan natin ng isang Senadong magsisigurado na ang pangangailangan ng bawat Pilipino ay matutugan — edukasyon, kalusugan, pagbaba ng mga presyo ng bilihin at hustisya,” added Sen. Bam. Aside from working for the welfare of the Filipino people, Sen. Bam pointed out that an independent Senate will fight the passage of any measure that will burden the public. “Kailangan natin sa Senado na iyon ang itataguyod, at siyempre kailangang lumaban din sa mga panukalang magsisilbing pabigat sa taumbayan,” added Sen. Bam, one of four senators who voted against the ratification of the Tax Reform for Acceleration and Inclusion (TRAIN) Law. 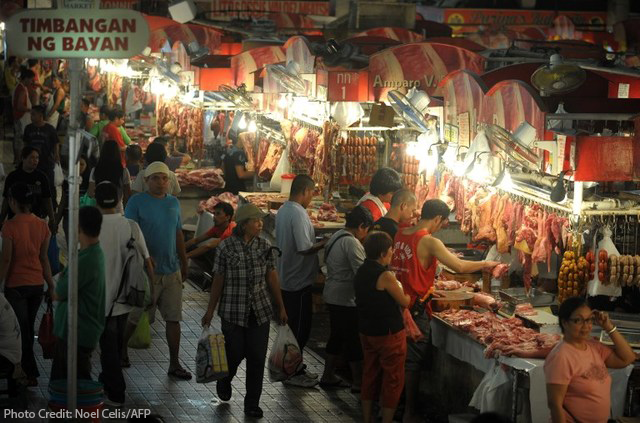 During the debate, Sen. Bam encouraged voters to choose candidates who will work for the amendment of the TRAIN Law to help lift the burden of high prices of food and other goods on the public, especially the poor. “Iboto natin ang mga senador na willing mag-commit na amyendahan ang TRAIN Law,” said Sen. Bam, who, as early as May 2018, filed the Bawas Presyo sa Petrolyo Bill to suspend the excise tax on fuel under the TRAIN Law. Sen. Bam has 35 laws to his name, including the landmark free college law, but he stressed that more work needs to be done to ensure employment for all graduates. “Kung papalarin, we will build on reforms on education. 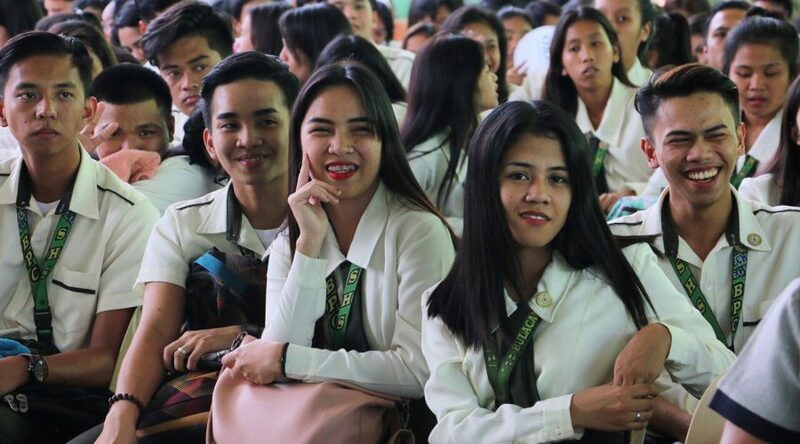 Naipasa natin bilang principal sponsor ang libreng kolehiyo sa ating bansa. Ngayong mas madali nang mag-graduate ang ating kabataan, siguraduhin natin na ang bawat graduate ay may magandang trabahong naghihintay sa kanila,” said Sen. Bam. Sen. Bam also committed to work on other education reforms, such as improvement of facilities and benefits for teachers. Dahil sa inyong patuloy na tiwala at suporta ang pananatili ko sa Magic 12 ng Pulse Asia survey. Magsisilbi itong napakalaking inspirasyon sa ating pag-iikot at pag-abot sa ating mga kababayan upang maipaalam sa kanila ang ating nagawa at patuloy pang gagawin sa Senado para sa kanilang kapakanan. Mahaba pa ang ating laban at mahalaga ang bawat tulong na ating makukuha upang maipagpatuloy ang ating hangaring maiangat sa laylayan ang mahihirap nating kababayan.